Monday, September 29th is National Coffee Day! New York Hudson Valley’s Crown Maple and Irving Farm Coffee Roasters teamed up to create a clever coffee specialty drink for this special coffee lover’s day. It’s the Crown Maple Medicine Man. Riffing on a classic cocktail of the same name, this version uses Irving Farm’s Los Lorios coffee blend instead of the traditional white rum. The drink is sweetened with Crown Maple syrup and flavors enhanced with a squeeze of lemon and a bit of sage. 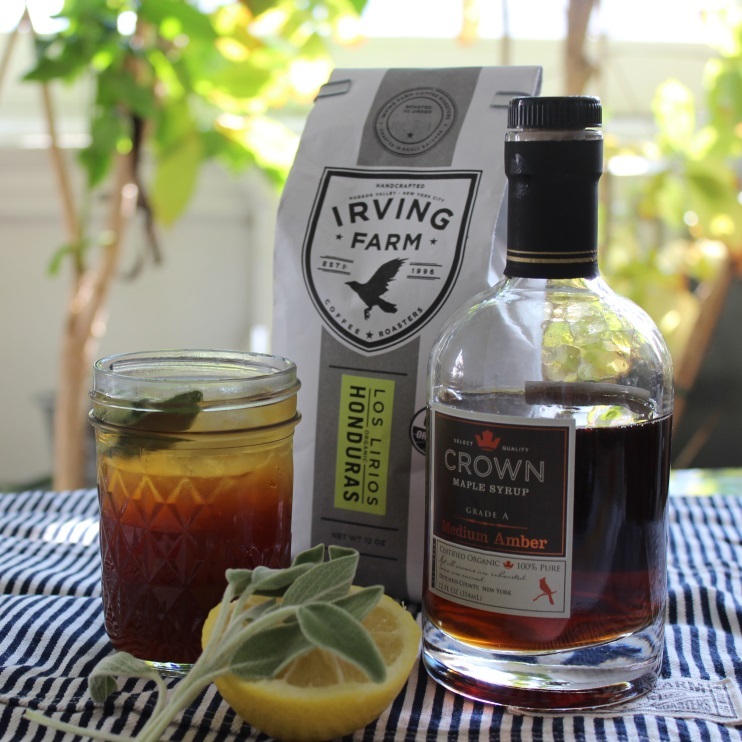 The maple syrup and coffee are available from Crown Maple and Irving Farm and the drink is so easy to make at home. If you’re in New York City on National Coffee Day, Crown Maple and Irving Farm will be hosting a Coffee Happy Hour in light of the holiday from 7am to 9am at Irving Farm’s Grand Central Terminal kiosk. The specialty coffee drink will be offered for $2.00 during the two morning hours and for $4.00 after 9am.